In Wilmington, Amtrak executives announced a $2.4 billion plan set to provide faster service, replacing Amtrak’s current fleet of the Acela Express. 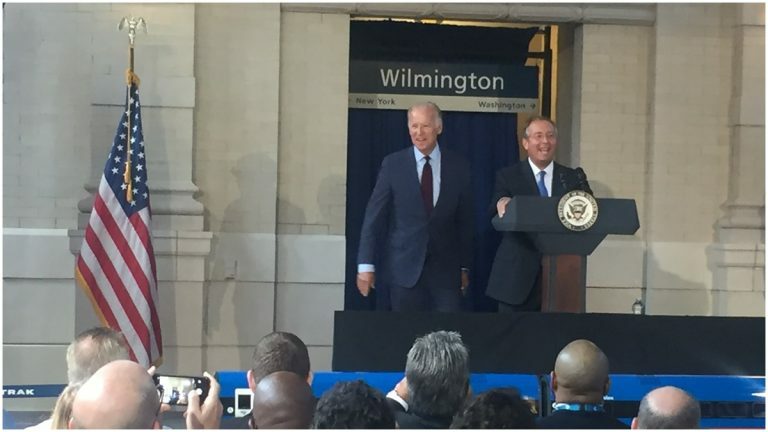 Vice President Joe Biden, its number one supporter, helped announce the plan at the Wilmington train station that bears his name. “I have traveled over 2,100,000 miles on Amtrak. I have made over 8,400 roundtrips. I believe it’s 257 miles a day, and these men and women have become my family,” Biden said. By 2022, Amtrak will put 28 new trainsets into service. They are the next generation of the Acela Express service that will be expanded along the Northeast Corridor. The new trains will provide more seating, modern amenities and smoother rides. “We will bring together a train system that will clearly be an example for the entire country to build and develop a national network of inner city trains that connect city payers throughout the United States to create the kind of mobility that Americans are looking for,” said Chairman of the Amtrak Board of Directors Anthony Coscia. 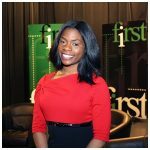 The project comes due to the growing demand of the Acela service that has become popular during peak travel periods between Washington D.C to New York as well as New York to Boston. According to officials, the trains will travel up to 186 miles per hour. “As more people rely on Amtrak, we need modernized equipment and infrastructure to keep the region moving,” Coscia said. The first prototype is expected to be ready by 2019 with the first trainset going into service in 2021. According to Amtrak officials, the trainsets will be manufactured in New York by the company Alstom, creating a multitude of jobs since parts will be produced by suppliers across the country. “Amtrak is taking the necessary actions to keep our customers, the Northeast region and the American economy moving forward,” said Amtrak President & CEO Joe Boardman.